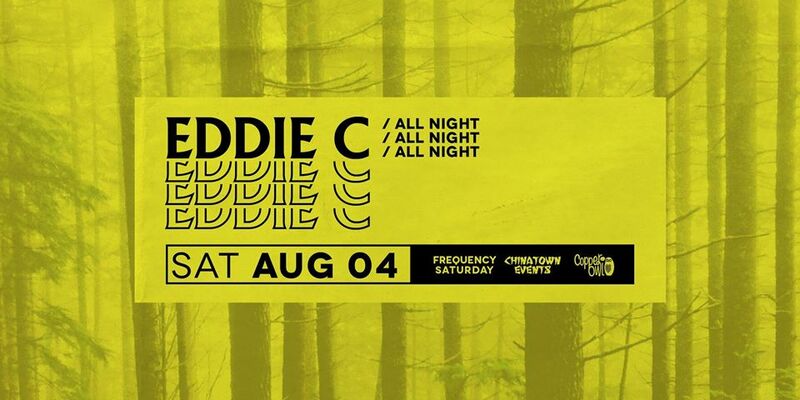 Event Archive - Frequency Saturday w/: Eddie C.
Eddie could well be described as one of the heaviest hitters in the Slo Mo / Edits / Disco scene. Since 2011 he has released and/or been featured on over 40 original EPs and singles as well as completing countless remixes covering all bases of Underground Dance Music from House and Techno to Afro-Cosmic and Down Tempo. Having graced labels like Endless Flight, Whiskey Disco, Crue-L, Sleazy Beats, Jiscomusic, Wolf Music, 7 Inches of Love & Lumberjacks in Hell, amongst others, with his deep, lush and beautiful grooves, Eddie is constantly name checked by every major playa this end of the underground.